Ukrainian League season resumes after another international break. Shakhtar are topping the table, being eight points ahead of the two closest pursuers, remaining the most prolific team in the tournament. The Pitmen will receive these opponents for the second time this season, at Metalist stadium. Tickets for the upcoming game are on sale now. 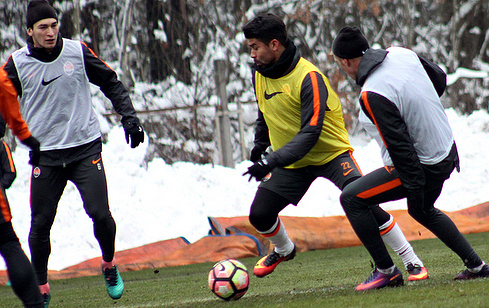 The Orange-and-Blacks have been preparing for the match against Karpaty with the full squad. The internationals rejoined the team yesterday, training with the teammates at Sviatoshyn base. Karpaty are the team from the opposite end of the table. In the current league season, they have won twice and drawn four times, still sitting in the bottom spot with four points. This is due to the fact that they were fined six points by the FIFA Disciplinary Committee. In the height of the season, Karpaty replaced their head coach. Currently, the Green-and-Whites are headed by the Belarusian Oleg Dulub, under whose leadership they managed to interrupt the bleak 12-game winless run in the championship. The Lviv side claimed a long-awaited victory just in the previous round vs Vorskla (the winning goal was scored by Gustavo Blanco Leschuk). Karpaty defender Andrii Nesterov will miss the match against Shakhtar due to suspension. The opponents had a total of 47 league encounters. Shakhtar won on 30 occasions, Lviv won 9 times, drawing 8 times. The goal difference is 94-34 in favour of the Orange-and-Blacks. 23 matches were held on the Pitmen’s pitch: 19 wins by Shakhtar and 4 draws. The goal difference is 58-9. 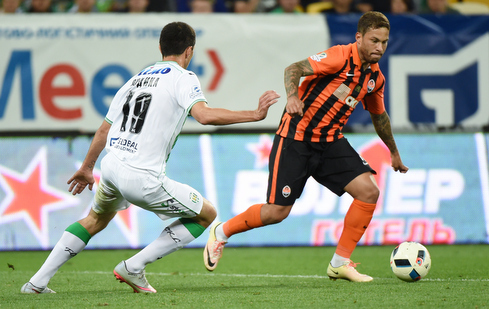 The duel in the first half of the season on Karpaty’s pitch was uncompromising. Early in the game, the Donetsk side wasted a good chance, with the hosts opening the scoring midwaythrough the half, with Blanco Leschuk scoring. Shortly afterwards, Chachua netted the second goal for Lviv being assisted by Khudobiak. After the break, the team of Paulo Fonseca managed to reverse the game: goals by Stepanenko and Kovalenko levelled the score, with a precision shot by Marlos on 87 minutes helping Shakhtar come from behind to make it 3-2. The Pitmen won three of the four recent Premier League home games against Karpaty 3-0. The Pitmen’s scoring streak in the league kicked off on August 28, 2015, comprising 34 games (97 goals). Facundo Ferreyra scored goals in Shakhtar’s three recent meetings.